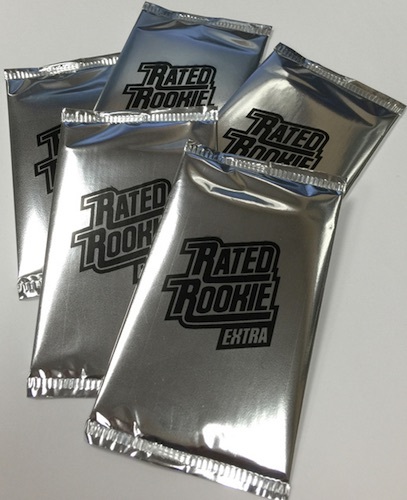 Make sure to keep those 2015 Donruss Football pack wrappers. Panini announced a new redemption program for Wal-Mart packs that can be be redeemed for four exclusive cards. 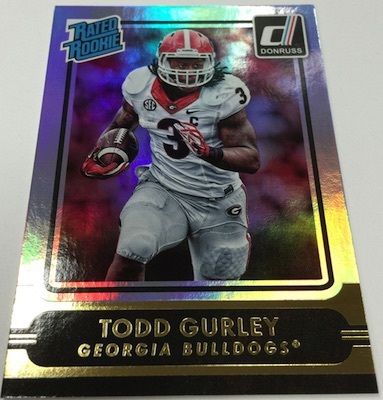 Not available in standard 2015 Donruss Football packs, the exclusive cards include some of the top names from the 2015 NFL Draft with a Rated Rookie variation card. 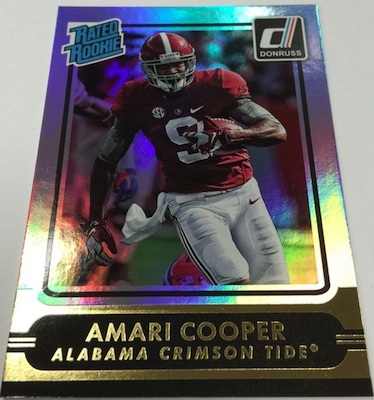 Featuring collegiate versions of Jameis Winston, Marcus Mariota, Amari Cooper and Todd Gurley, the special Rated Rookie cards differ from the pack-pulled versions that utilize NFL jerseys. 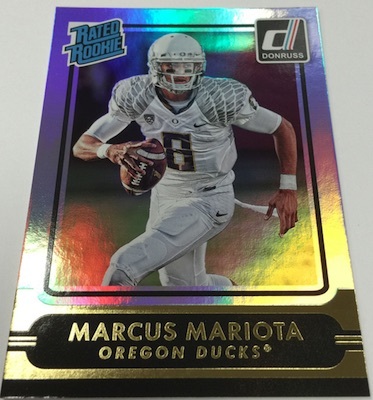 The exclusive cards also showcase a Refractor-like holofoil finish. In order to obtain the redemption cards, collectors need to do a few things. 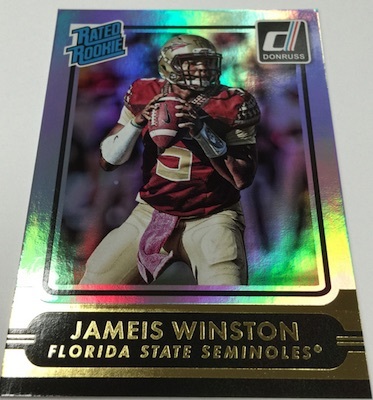 First, the program only applies to packs and boxes of 2015 Donruss Football that are purchased at Wal-Mart. Second, collectors need to submit 24 wrappers in order to receive one four-card redemption pack. Lastly, collectors must also submit a copy of their Wal-Mart receipt to verify the purchase. Does anyone know if there is a expiration date or when the mail in offer ends? I’m sure it doesn’t last for ever. Wow….IT SO WOULD HAVE BEEN NICE TO KNOW THIS ABOUT A MONTH OR SO AGO. I just bought my 3rd box tonight that I’m about to tear into. Could’ve had 3 sets versus just the one I’m fixing to unwrap. Have the receipts but not the wrappers for the other two. Disappointing. I’m in the same boat but I have purchased 8 boxes from Walmart. Was browsing sold items on eBay and saw redemption wrapper cards.